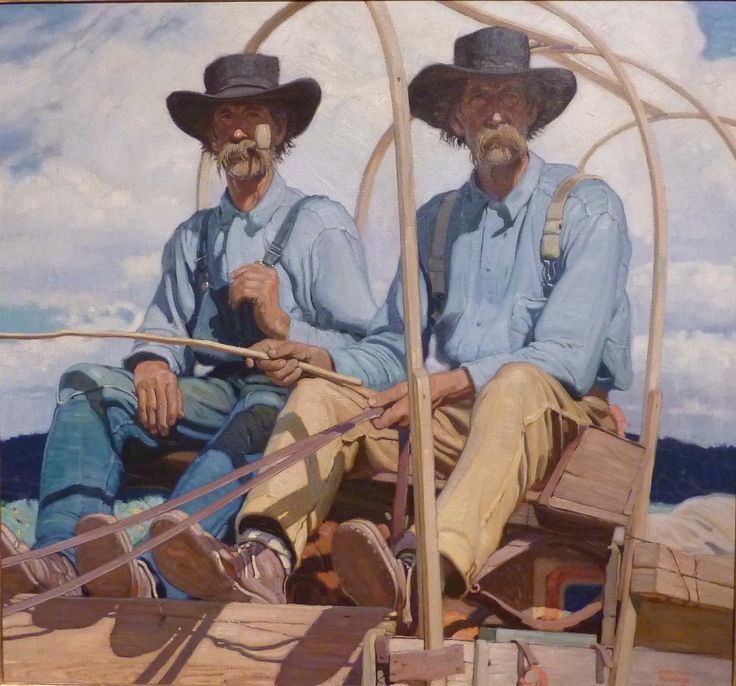 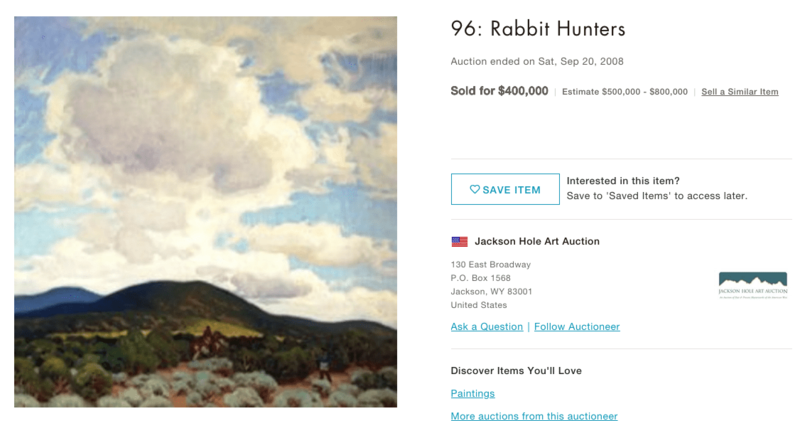 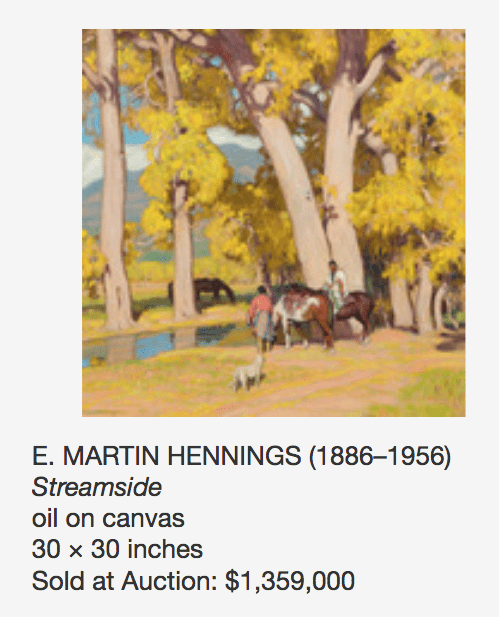 Walter Ufer (1876-1936) and Hennings were neighbors in Chicago before Hennings went to Europe to study. 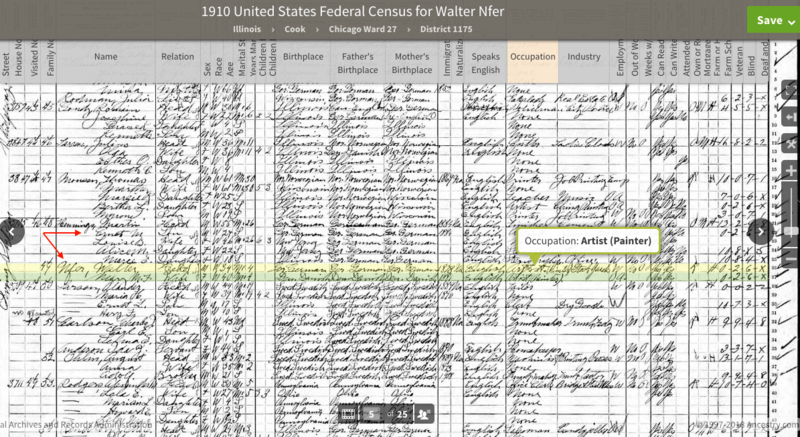 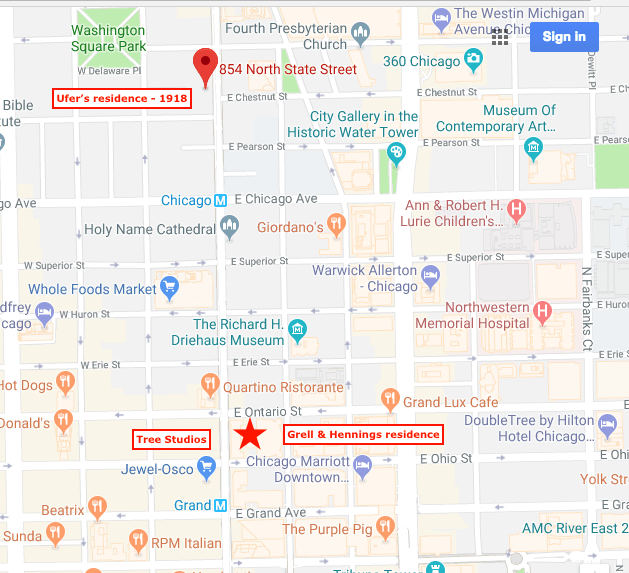 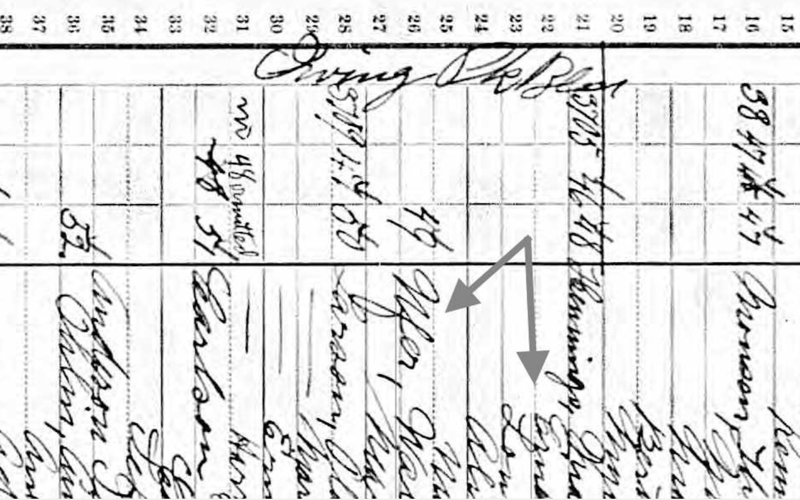 Their address is the same indicating they may have lived under the same roof in 1910 (U.S. Census report). 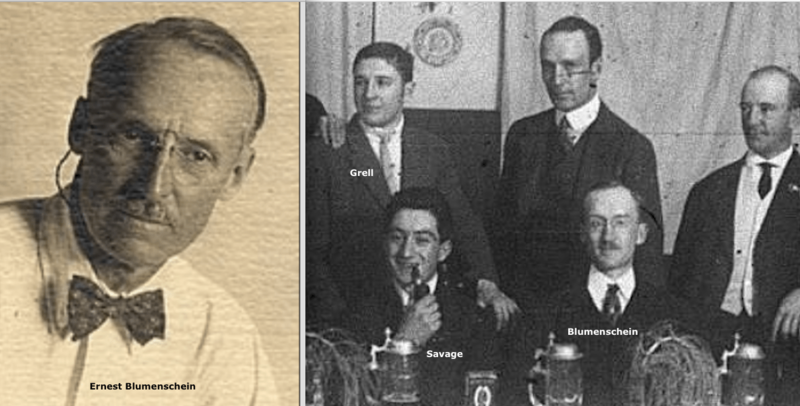 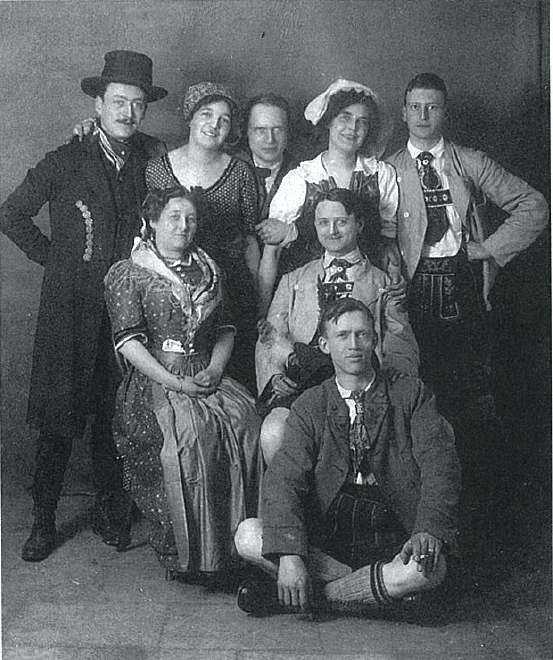 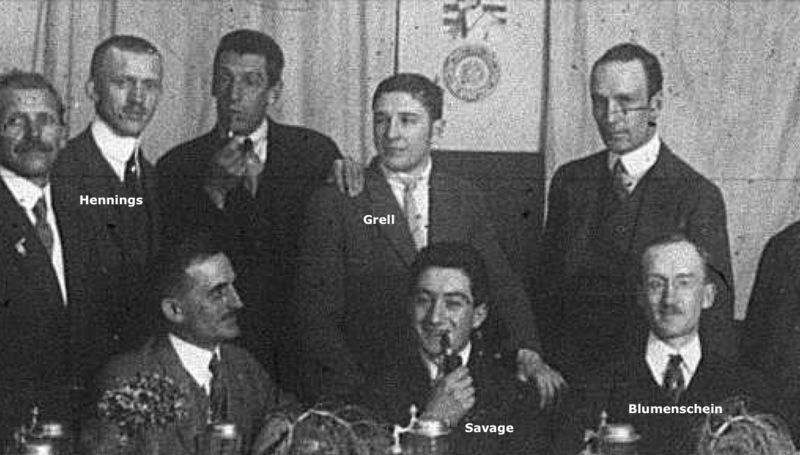 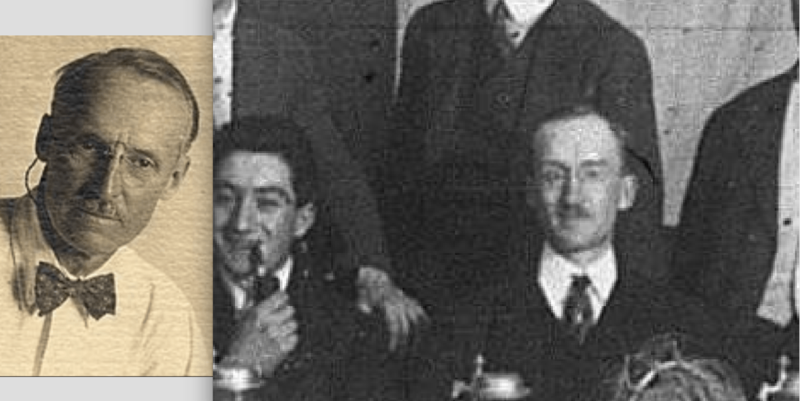 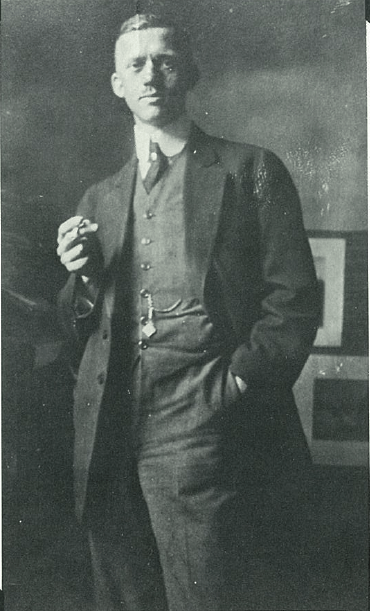 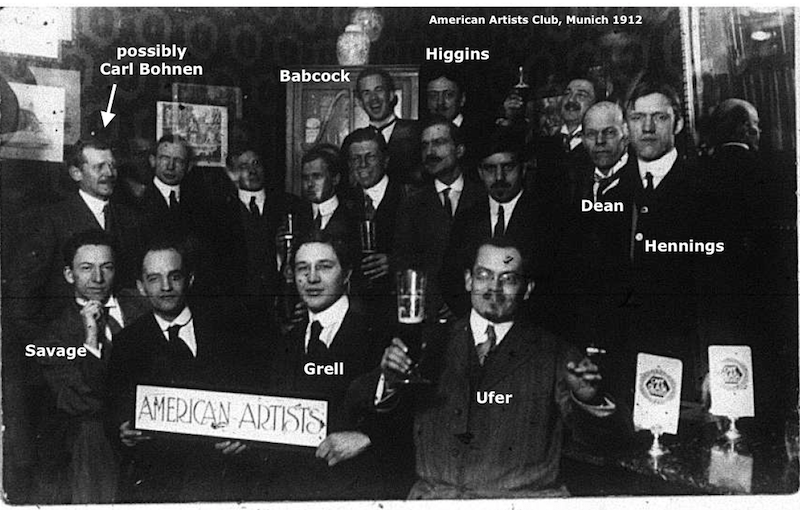 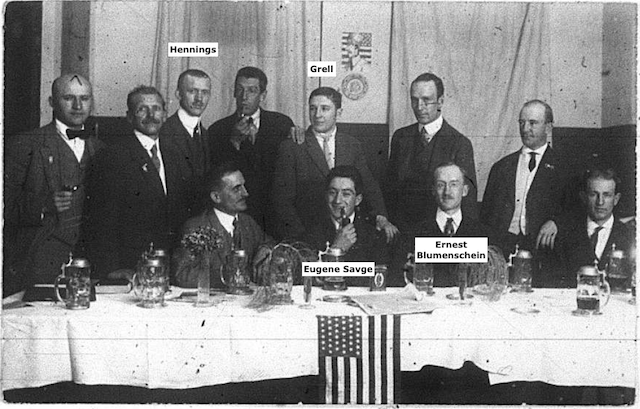 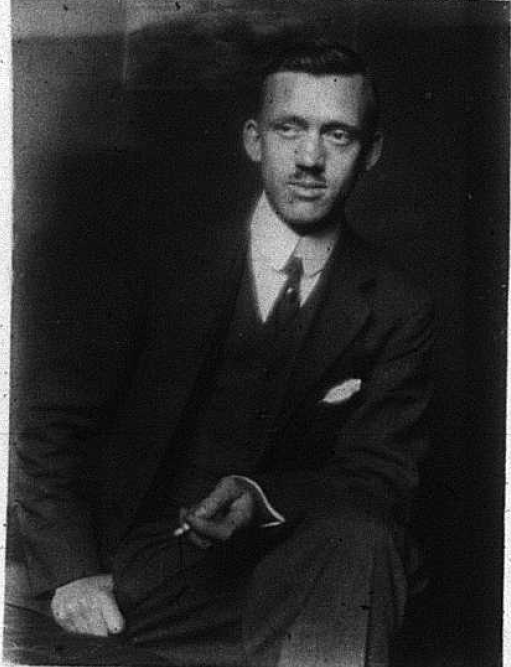 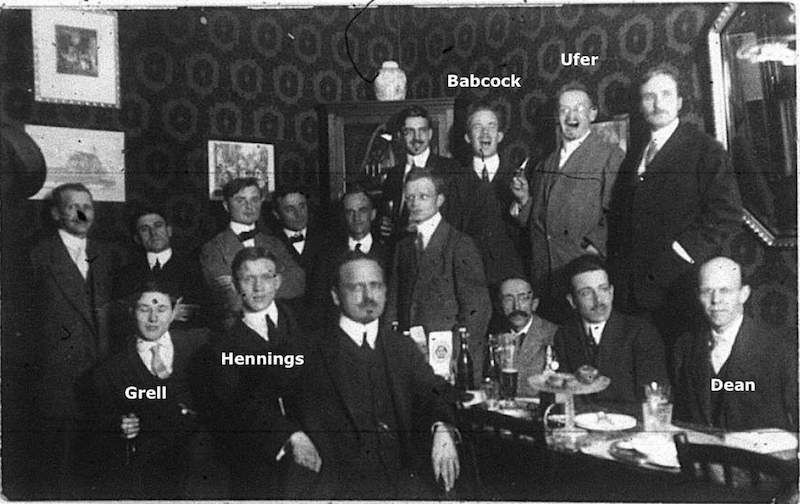 Eugene Savage (1883-1978) had an award celebration in Munich before coming to Chicago for the official American fancy award celebration on August 1, 1912. 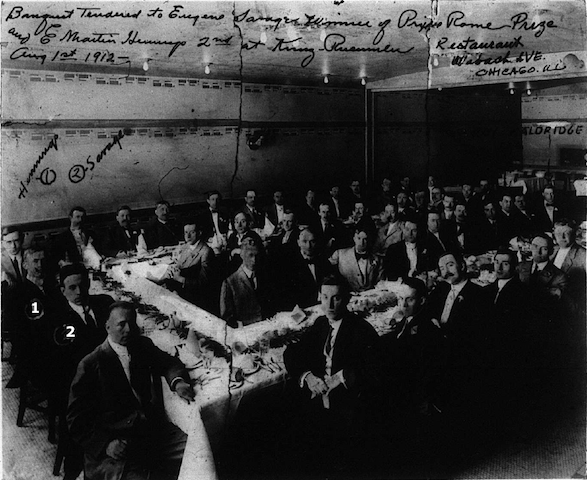 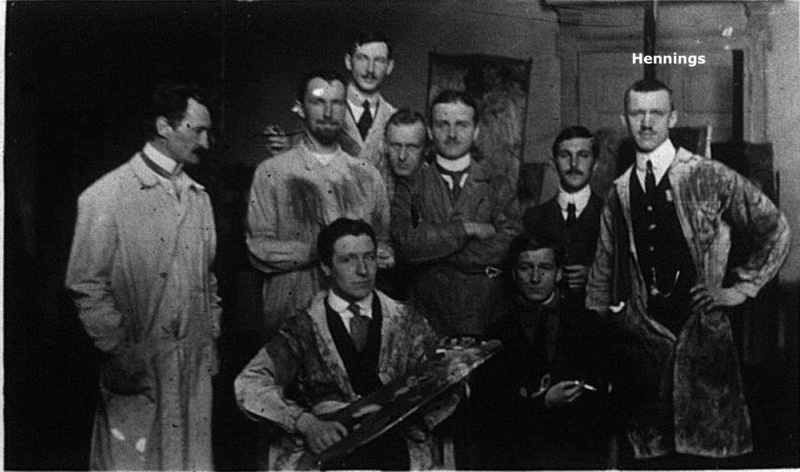 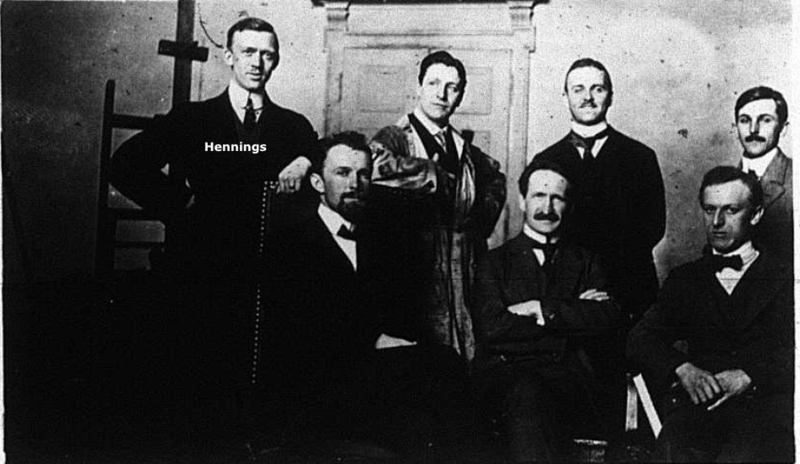 Our team believes that Ernest Blumenschein (1874-1960) is the gentleman seated to the right of Eugene Savage as viewed (c1912 Savage award celebration Munich photo). 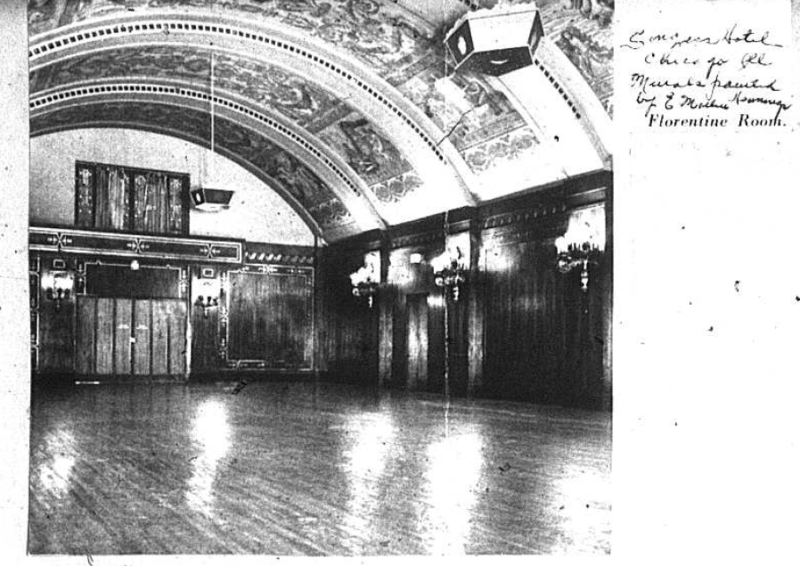 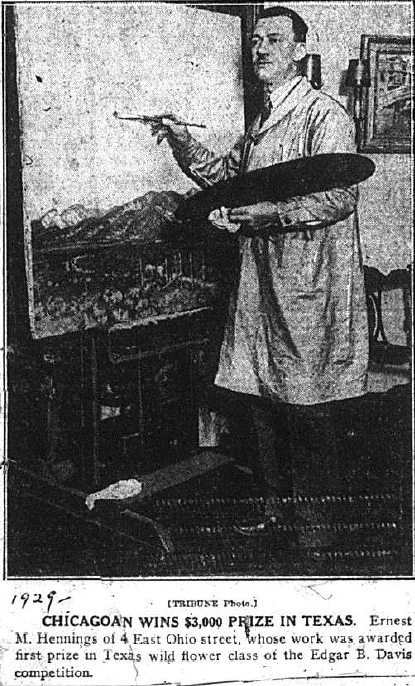 Hennings painted the murals inside the Florentine Room at the Congress Plaza Hotel c1920. 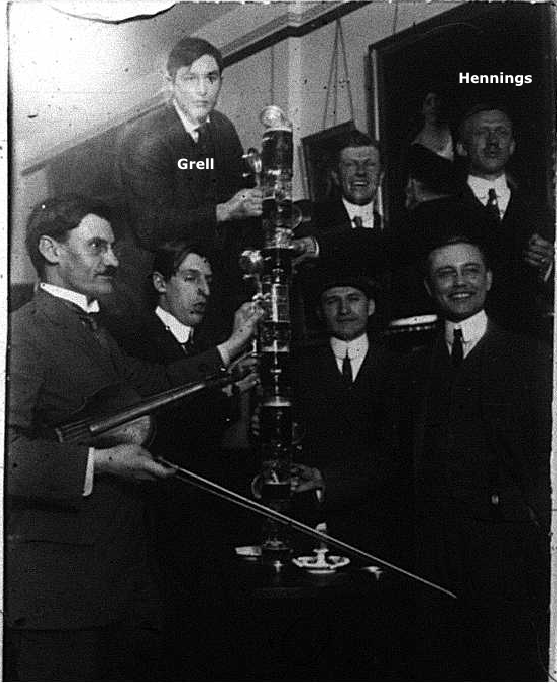 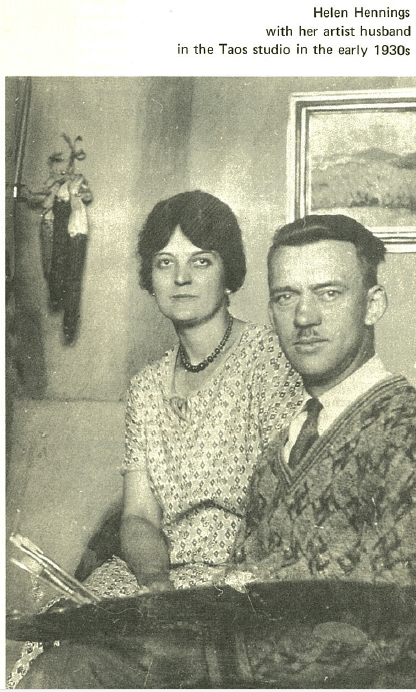 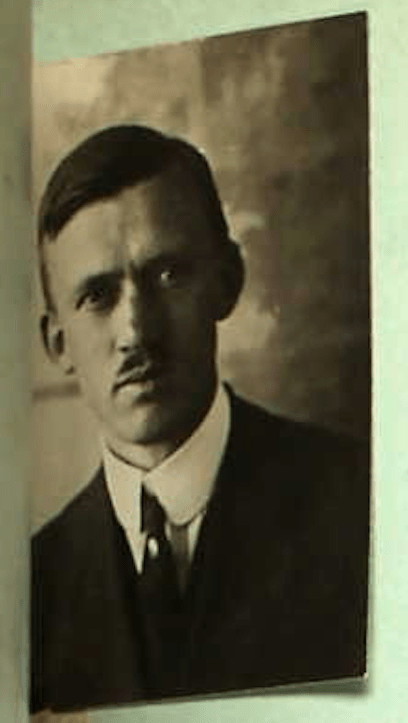 Also visit our Colleagues & Contemporaries page for further related information including Grell’s wedding day photo that includes Martin and Mabel (Helen) Otte before they were married which establishes that they actually met before most researchers claim. 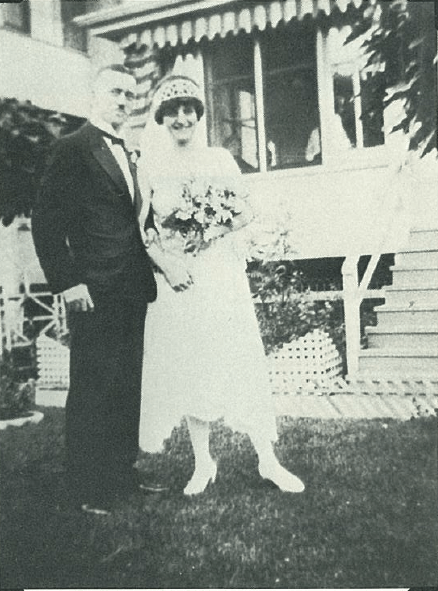 We strongly believe that Helen is the woman standing next to him in that 1922 photo. 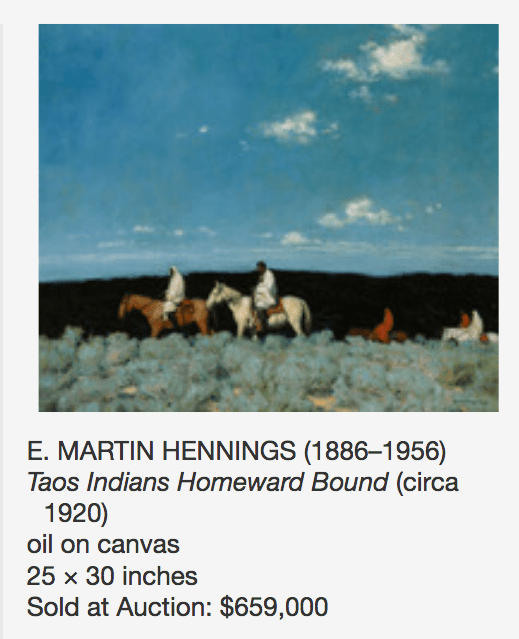 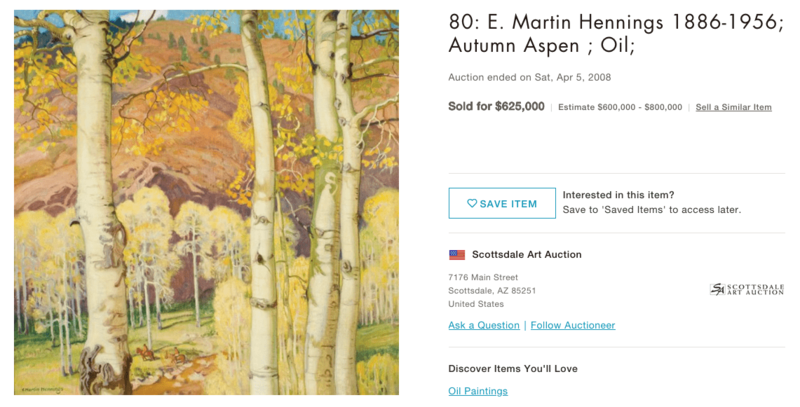 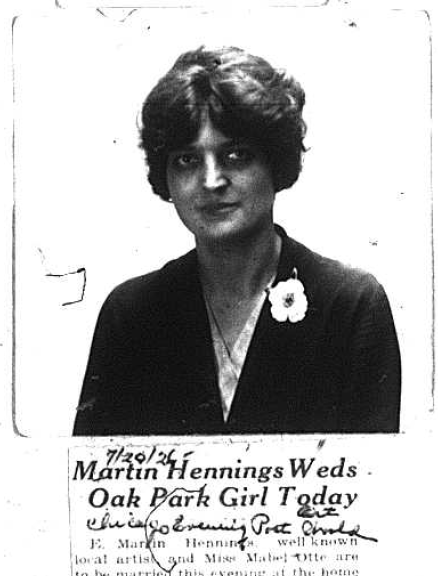 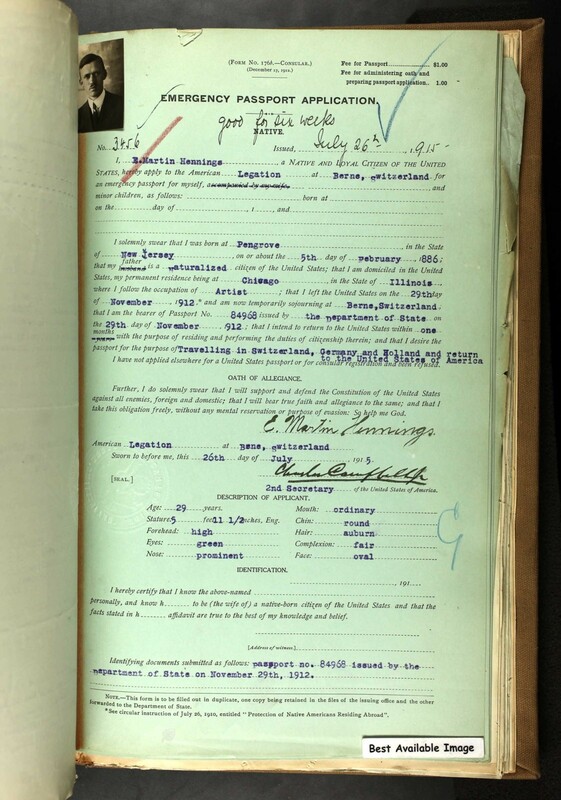 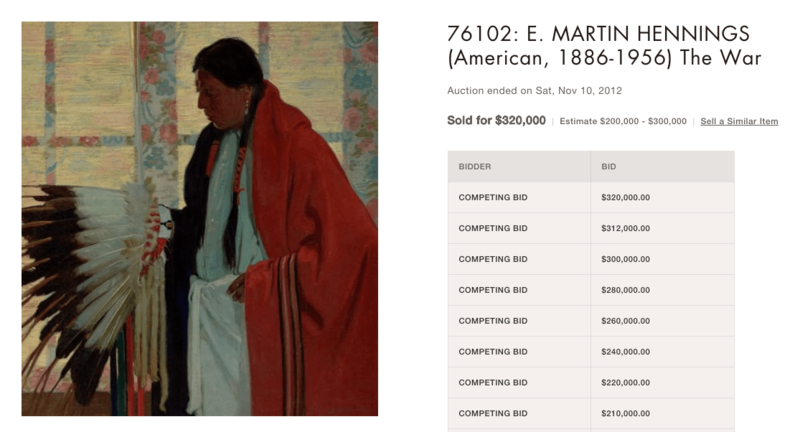 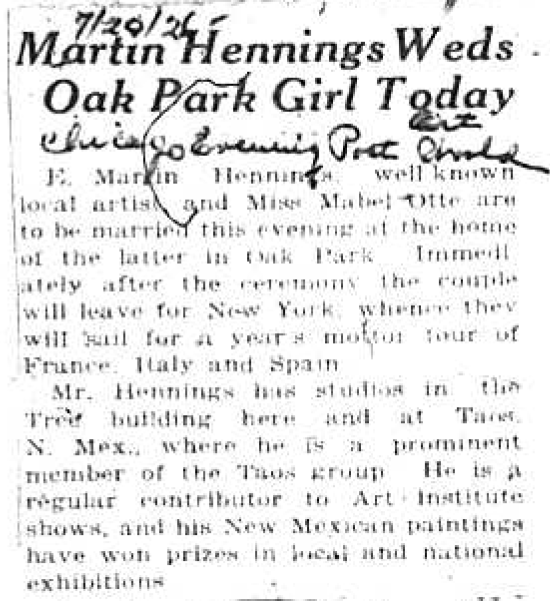 Credit E. Martin Hennings papers, Archives of American Art, Smithsonian Institute; U.S. Census Bureau; Grell Family archives and general research by LG Foundation staff.